Nestled in one of the great sleepy river valleys of the United States and perched on a ledge overlooking the Willowemoc Valley, The De​​Bruce is a modern nod to the Silver Era Catskill retreat. 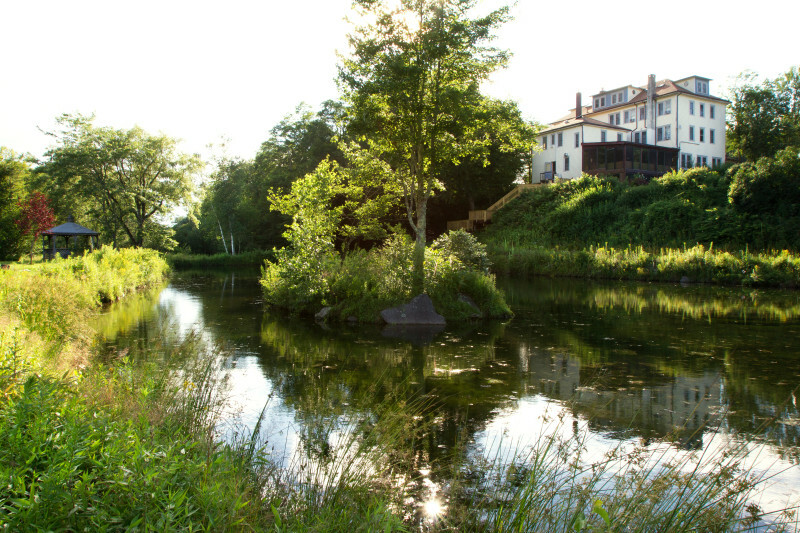 With access to 600 acres, our grounds boast a section of the storied Willowemoc River, ponds, hiking trails, fishing (Fly Fishing Instruction Available) and stunning views. And with access to some of America’s best small farms, both our Main Dining Room and Club Room Bar present thoughtful stand apart menus whether you are looking for an immersive fine dining experience or for a bite just off the river. We also offer massage therapy. Room rates include dinner each night, as well as daily breakfast served a la carte. Dinner menus change often and are multi-course fixed menus. The DeBruce chefs thoughtfully prepare each course to highlight the best product from our neighborhood farms and our own backyard.